Just look at that spread! My mother (and doctor) would be proud! I am proud! Pity I had nothing to do with it. Well, except for the shopping and the photography. Salads are the domain of the chef. The steward tends to be stuck with a few garden variety and cannot come up with any different. I blame it on all those goat-like Sunday tossed salads in Jamaica that I hated with a passion! It was a pain to eat vegetables: they were just.. yucky… unless of course they were cooked in the gravy or sauteed with some delicious stuff like salted codfish or beef, chicken etc. But now, salads are a whole new ballgame. With a wide variety of vegetables available in the UAE, there is no reason to get stuck in a vegetable rut. 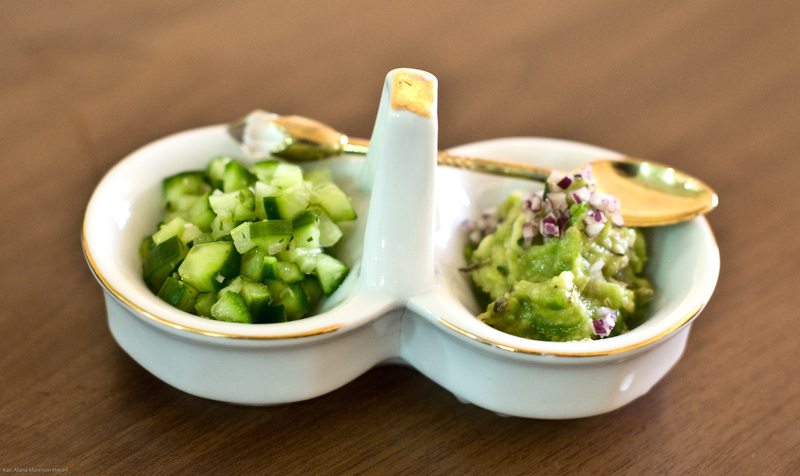 We can even use them as condiments instead of the typical sauces and spreads! Heres to a table filled with colour, texture and flavour and a body that thanks you for it! 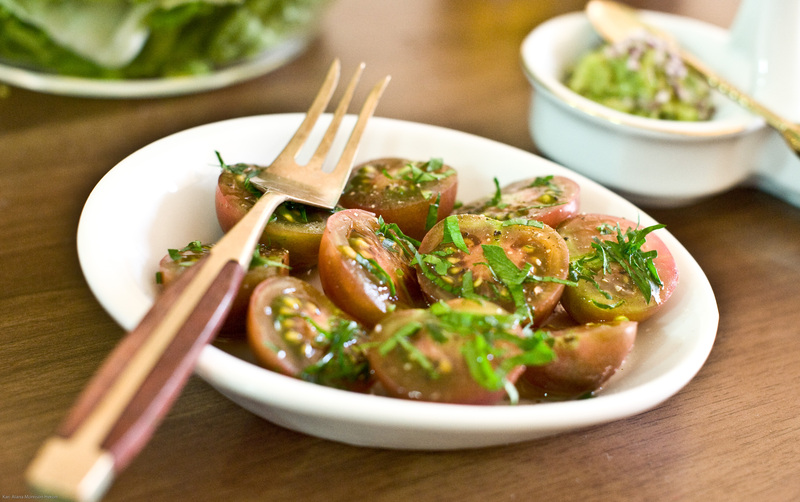 Purple Tomato Salad: A salad can be very simple. We saw these deliciously sweet tomatoes at Lulu’s, Barsha and grabbed them in a hurry. We only managed to have a few left as Chef has been snacking on them in the kitchen-they are that sweet! They were so good, we wanted to make them the star of their own show. 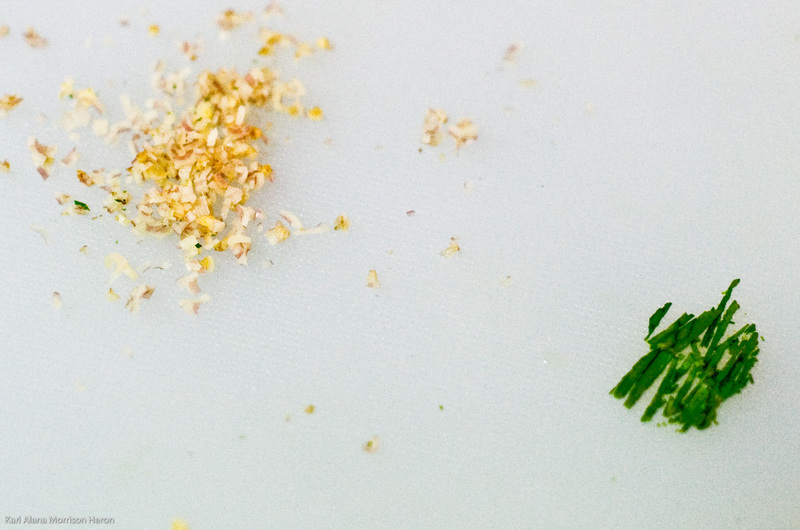 Here we garnished with finely chopped parsley and drizzled some EVOO and a little salt and a crack of black pepper. They just pop in your mouth! 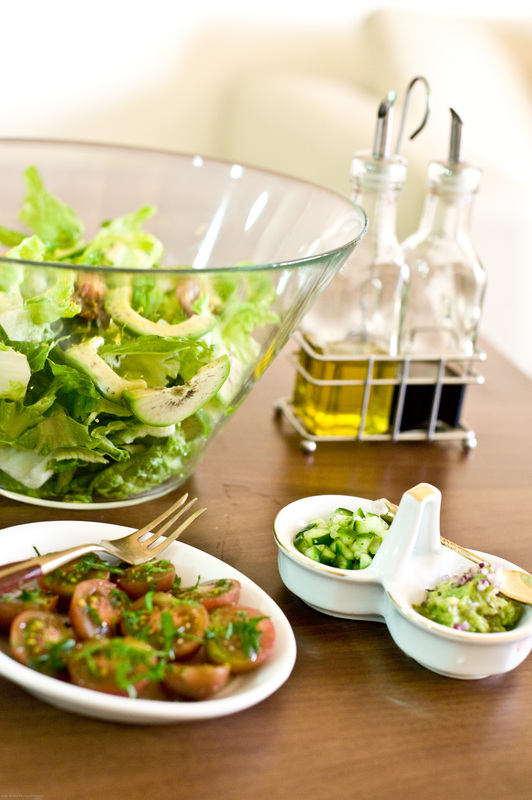 The extra tomatoes, we combined with this leafy green romaine lettuce and avocado salad. 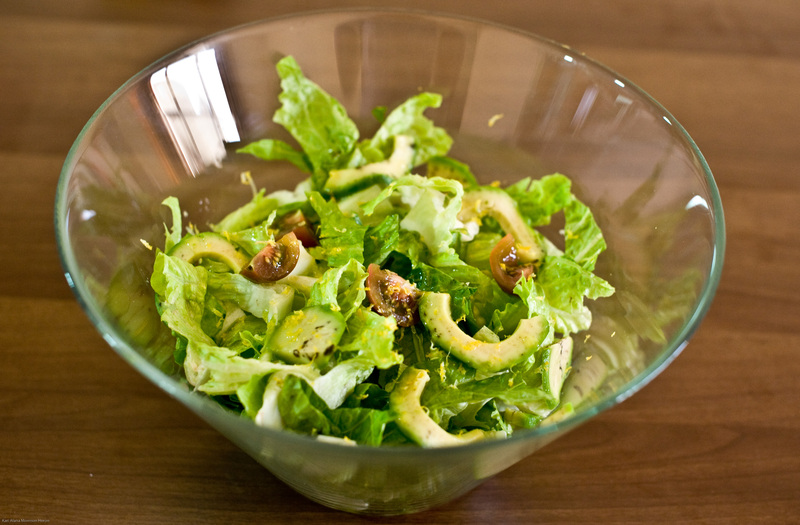 This would be perfect with a honey mustard dressing or your favourite vinaigrette or dressing. 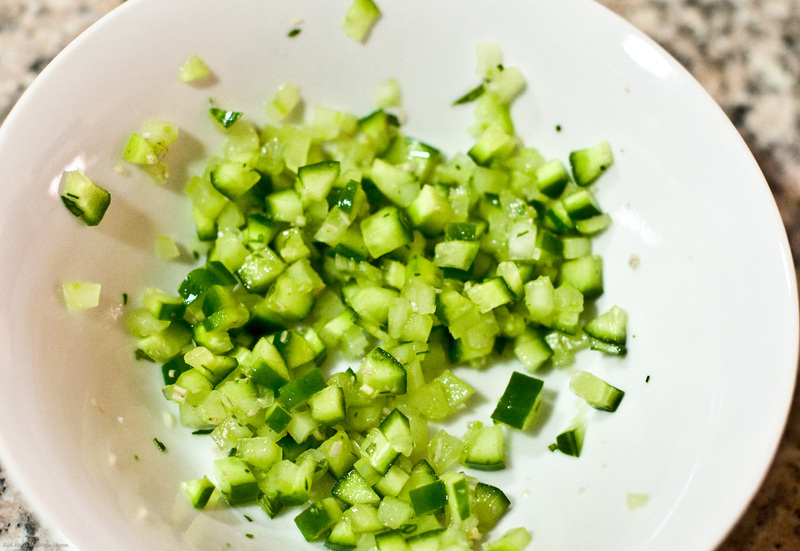 Asian Cucumber Relish: Dice cucumbers into very small cubes. Mince lemongrass as small as possible. Slice a lime leaf very thinly. Combine and add salt and pepper to taste. Avocado Mash: Crush avocado, squeeze a tiny bit of lemon juice, add a little salt and pepper, top with finely diced red onion for garnish. This would also be lovely as a dip for low carb tortilla crisps or vegetable sticks. kari what a fresh post!… purple tomatoes? do they looks purple? Thanks Rajani! Yes they do! I had to try to stop myself from jumping and kicking my heels in the supermarket when I saw them. Or did I? But they look like the colour of a dark bruise on your skin and they are the cherry variety. I saw them in the fridge to the left of the coconut section. Wonderful sides…..they looks just delicious.